Judge Reyna recently moved for the admission of one of his law clerks to the Federal Circuit bar. His remarks are a good example of how appreciative judges can be of their law clerks: [Listen]. The Senate Finance Committee held the confirmation hearing this past Thursday for Scott Kieff as an ITC commissioner. You can access the hearing at this [Link]. Abraham Lincoln — Patent Prosecutor? 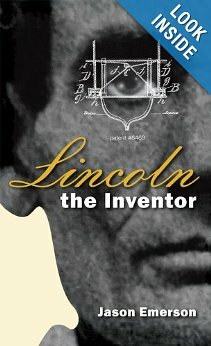 I was reading the book “Lincoln the Inventor” over the holiday weekend. One of the interesting tidbits from the book is that in 1848 Abraham Lincoln called on the Patent Office on at least two separate occasions on behalf of two different inventors. [Link] and [Link]. So, that begs the question: Can we now add “Patent Prosecutor” to President Lincoln’s esteemed list of accomplishments? A bit of a stretch, perhaps. But, you can form your own opinion. Chief Justice Roberts was interviewed the other day at the Fourth Circuit Judicial Conference. He was asked about the Supreme Court becoming an increasingly “hot bench.” A hot bench is when the judges or justices are extremely engaged in the oral argument and ask a lot of questions of the advocates. I think it is fair to say that the Federal Circuit is a “hot bench” when certain issues are in dispute — most notably, 35 U.S.C. §101. The oral argument in Ultramercial v. Hulu is a good example: [Listen]. You are currently browsing the 717 Madison Place blog archives for July, 2013.